The Taupō Plant Nursery, initially owned by the Department of Lands and Survey, was the first in New Zealand to specialise in native plants for revegetation. It grew and supplied locally sourced plants for the restoration of scenic reserves, forest and national parks. Thousands of plants were produced each year. 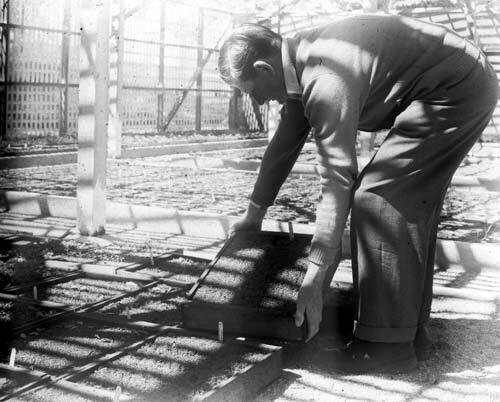 This worker is tending to one of the seedling trays.